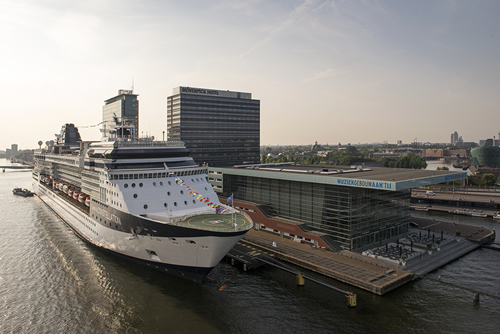 The continues growth of the number of cruisepassengers who visit the Netherlands during cruiseholidays has a positive impact on the Dutch economy. During the press-event CLIA, the Cruise Lines International Association, held on 17th October 2014, it has been announced that the direct cruise industry expenditures in 2013 were € 357 million in the Netherlands, 1.6% growth towards 2012. Last year 96.000 cruisepassengers choose the Netherlands as port of embarkation and another 228.000 international passengers visited the Netherlands as port of call. From the € 357 million, cruiselines contributed € 268,5 million of direct income due to supplies, hospitality services and fuel. The remaining part was generated by passengers and crew of which € 30,6 million has been raised by tourists departing from the Netherlands. The 228.000 passengers who visited the Netherlands during port of call spent another € 10,5 million and crew spent € 2,1 million. Other incomes are related to shipbuilding. The major ports in the Netherlands are Amsterdam, Rotterdam and IJmuiden, of which the Passenger Terminal in Amsterdam received most visitors; 161.749 passengers in total. In the Netherlands the cruise-sector delivers 5.826 FT jobs with a value of € 166 million, +1,2% than in 2012. In march of this year CLIA Netherlands already announced a growth of Dutch cruisepassengers who went on a cruiseholiday worldwide. This was 4,2% (114.000 passengers). This in line with the growth in the European cruisemarket. De direct cruise-industry spenditures in Europe in 2013 were € 16,2 billion (in 2012 € 15,5 billion). Worldwide the cruise-sector has an impact of $ 117 billion. Cruise Lines International Association (CLIA) is the world's largest cruise industry trade association with representation in North and South America, Europe, Asia and Australasia. CLIA represents the interests of cruise lines, travel agents, port authorities and destinations, and various industry business partners before regulatory and legislative policy makers. CLIA is also engaged in travel agent training, research and marketing communications to promote the value and desirability of cruise holiday vacations with thousands of travel agency and travel agent members. In the Netherlands, CLIA represents 21 international cruiselines. Their activities are focused on promotions and objective information about cruises for trade, press and consumers. Associated members are Amsterdam Cruise Port, Cruise Port Rotterdam en Cruise&Style Magazine. TCA would like to give you a warm welcome to the beautiful city of Amsterdam.